for small businesses with next-generation cancer technologies. 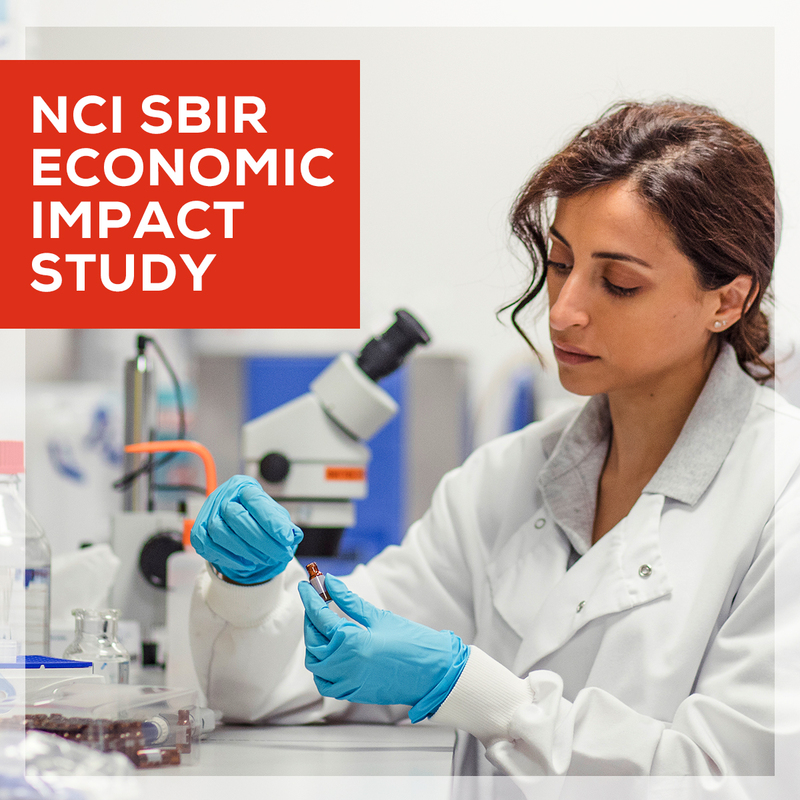 What resulted from NCI’s investment in small business R&D provided to companies nationwide through 690 separate SBIR/STTR Phase II awards? Read the Impact Study Brief to find out! What are the NCI SBIR & STTR Programs? The SBIR & STTR Programs are one of the largest sources of early stage technology financing in the United States. We welcome entrepreneurs and small business leaders to this website to explore grant and contract funding opportunities. The NCI also provides funding opportunities for specific cancer technology projects. Learn how NCI SBIR & STTR Programs have helped small businesses with funding awards that help advance cancer research. AntiCancer, the San Diego-based biotechnology company, was awarded Phase I and II SBIR grants and contracts that have led to the commercialization of three cancer research tools: MetaMouse®, AngioMouse®, and OncoBrite®. Developed LuViva, a non-invasive medical device designed to instantly detect cervical disease in a point-of-care setting with a $2.5 million Bridge Award. Learn about the entrepreneurial programs and training available. Sign up for the latest funding opportunities and events information from NCI SBIR Development Center.